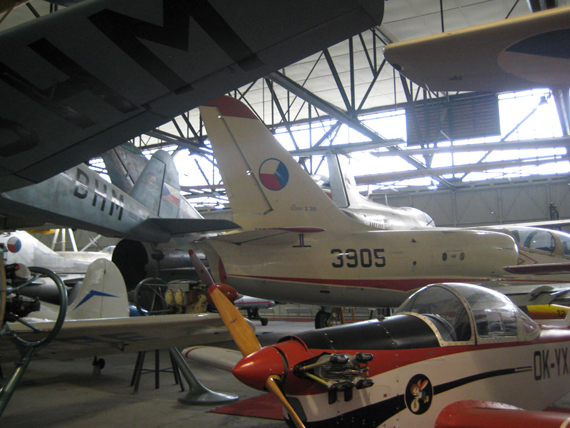 A 20-minute car ride, heading north, from the centre of Prague, is all that it takes to get to this indoor/outdoor museum, an absolute must for any plane enthusiast – young or old. What’s more, believe it or not, the entry is absolutely FREE! I first found out about this place only a few weeks ago, when my dear Czech friend, Iveta, suggested that we go and visit it with our 10-year-old sons. It only takes about ten minutes to drive there from my house in Prague 8, yet I had never heard of it before…shame on me. 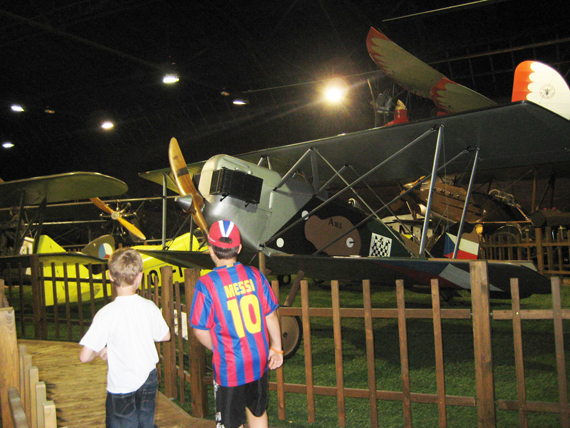 The Aviation Museum was founded in 1968, directly on the grounds of the first ever Czechoslovak air base that came into being in 1918, in Kbely. 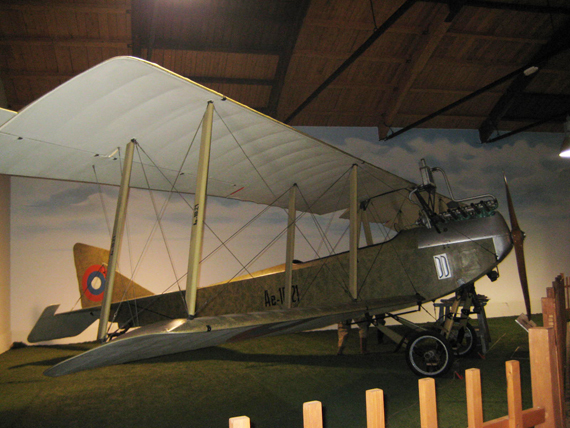 Over the years, the museum has grown and expanded to its current size which houses a collection of over 300 aircraft and other military paraphernalia. 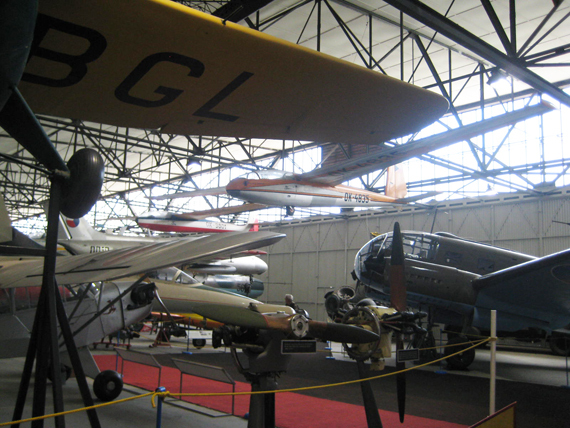 The collection of planes is largely housed in huge hangers, which are logically divided into 5 separate categories including The Czechoslovak Air Force from 1918-1924, The Czechoslovak Air Force from 1925-1938, World War II, First Generation of Jet Planes and Fighter Aircraft. A sizable number of planes and helicopters can be found on the grass outside, making a visit enjoyable regardless of the weather. I also found the bi-lingual labeling (in Czech and English) of all displays most practical and user-friendly and (for a change) had much trouble finding any sorts of obvious mistakes in the spelling or grammar. 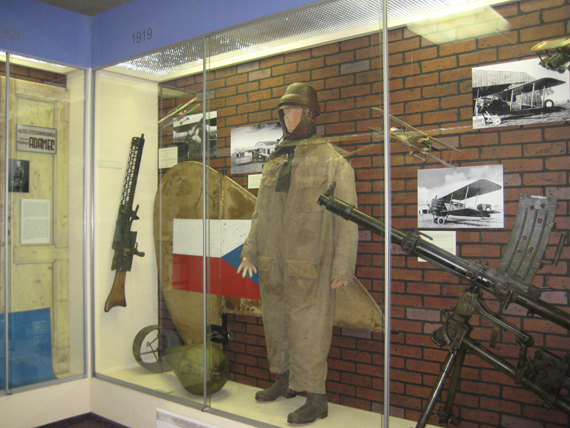 Everything is very clean, neat and of a high standard which is not surprising, as the entire exhibition is run by the Military History Institute under the auspices of the Czech Ministry of Defense. 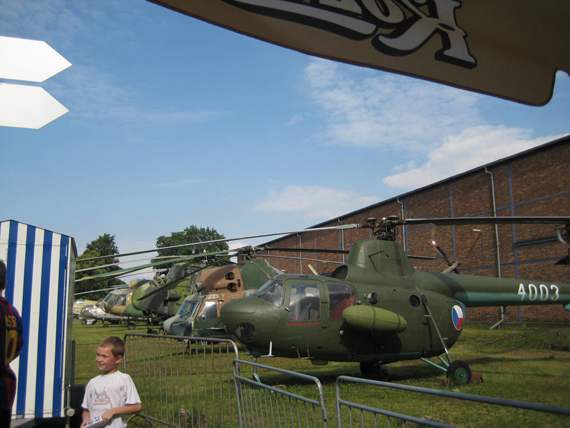 For those of you who may suffer military plane overload during your visit, there is a lovely cafeteria/gift shop with outdoor seating, a small playground with a sandpit and some rocking-horse planes. There were also several signs up around the place advertising Flights over Prague (which depart from the nearby Letnany Airport) at 3000 CZK for 15 minutes for 3 adults or 2+2 children - not a bad price, since you save so much on the entry fee (ha, ha!) but I reckon that I will save that for some other day (watch this space). 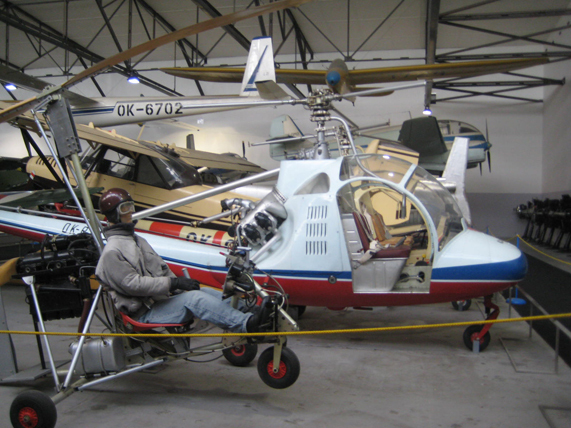 If you still have energy to spare following your visit to the Kbely Aviation Museum, then you can stop by the Czech Republic’s largest Shopping Complex at OC Letnany for a spot of shopping, swimming, ice skating and many other activities! ADDRESS: Letecké Muzeum Kbely; Mladoboleslavská Street, Prague 9, Kbely. DIRECTIONS: By Car: Ample free parking is available at the Aviation Museum’s Parking Area located about 100m from the main entrance on the left-hand side of the road. NB: All of the abovementioned busses will drive past the stop Letecké museum (Aviation Museum) but you must indicate to the driver your wish to get off or s/he will not stop there automatically.